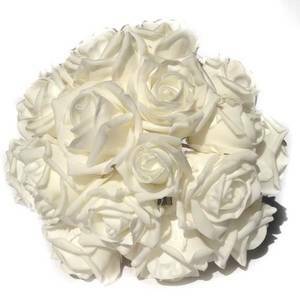 A luxurious pure white bouquet made with high quality foam roses. 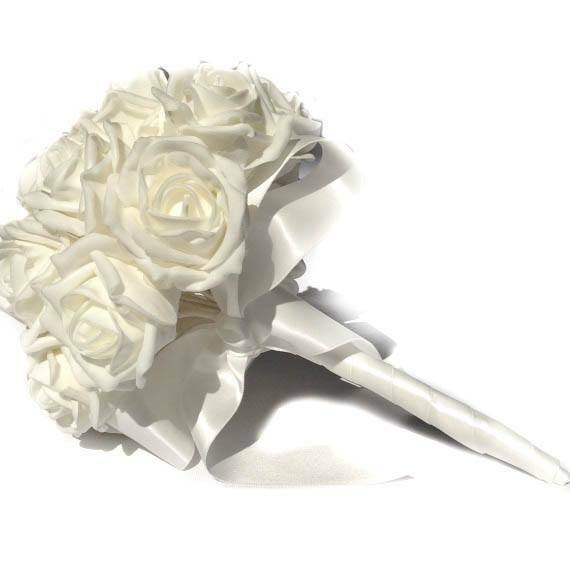 The handle is finished with a white satin ribbon and a bow. Perfect for a white themed wedding, or to go with a coloured brides dress. 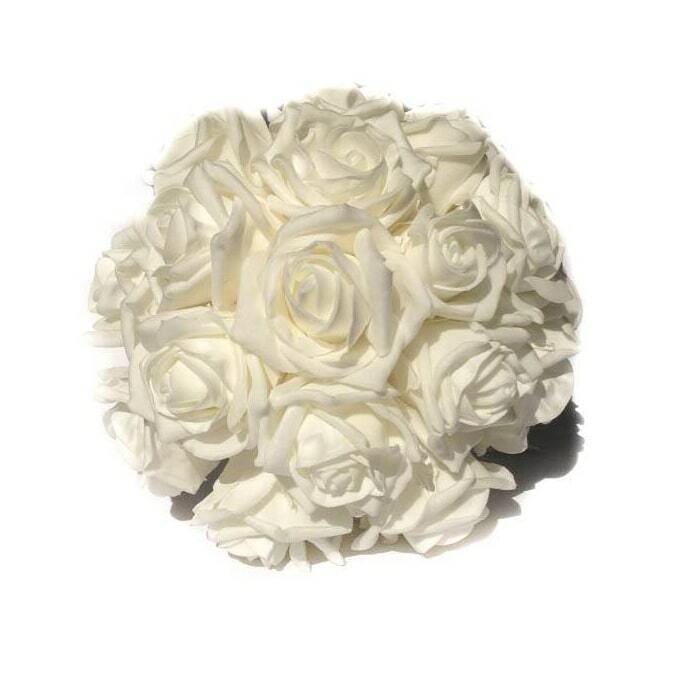 Please allow 14-21 days for delivery as your bouquet will be handmade. If you would like something different please go to the custom designs page.